That’s the consensus from the brandy and cigar circle down at the Faculty Club Library Room tonight. His $209K interim job will end June 30th, or sooner. Updated in real-time as reports from the faculty parties roll in. Send your unverified rumors and overheard gossip to uomatters at gmail dot com. I’ll post when I’ve finished my Martini. Or just add a comment. An unverified rumor that he actually met with students for an unscripted Q&A. I saw him with my own eyes listening to Jennifer Freyd’s campus climate report at the City Club. Campus email asking for input for a 360 degree review of an administrator – a minor one, not a JH player like Robin Holmes, but it’s a start. 11/22/2013, 10:28 PM: University to axe economics, keep heavily subsidized athletics department. 11/22/2013, 5:23 PM: Brad Shelton is forming a secretive “Central Budgeting Committee” to provide a facade of faculty input into UO’s spending priorities and the 3.0 release of UO’s budget model. 11/9/2013, 3:34 PM: President and Interim Provost open their leadership meetings to press and faculty for presentation of university finances, building plans. Just kidding, that’s at UGA. 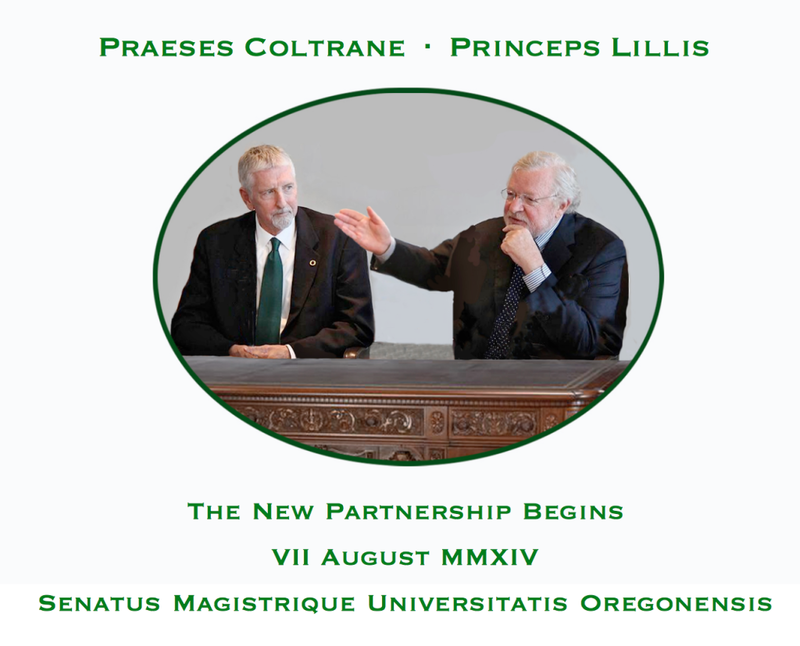 At UO, Gottfredson won’t even let the Senate President attend. 11/8/2013, 9:57 PM: 2 years after George Pernsteiner got the OUS Board to fire Richard Lariviere without faculty input, new OUS Chancellor Melody Rose is recommending that outgoing board tie the hands of the incoming independent UO Board of Trustees by renewing Gottfredson’s contract through June 30, 2016. Current contract here. There was no input from UO Senate into this review, and Gottfredson hasn’t shared the results. 11/8/2013, 9:34 PM: Coltrane not happy to learn that Blandy and Gleason agreed to contract language that puts him on the spot for approving or rejecting NTTF sabbaticals. 11/8/2013, 7:33 PM: VPFA Jamie Moffitt is planning on selling bonds to finance UO expansion to 28,000 students, from current 24,500.